Upgrading your home security to include external cameras is a practical and effective way to protect your home. 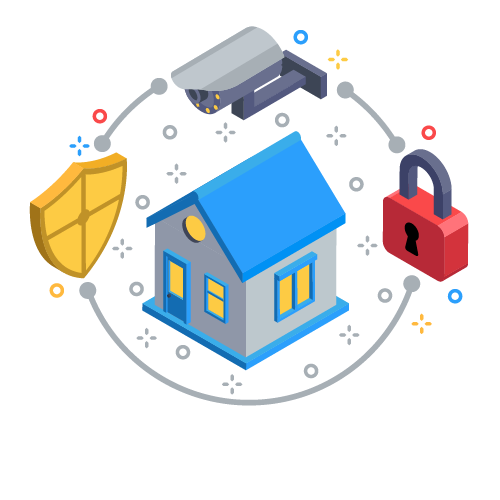 However to make the most of your surveillance requirements, you need to assess the needs of you and your family, as not everyone will need the same level of security. 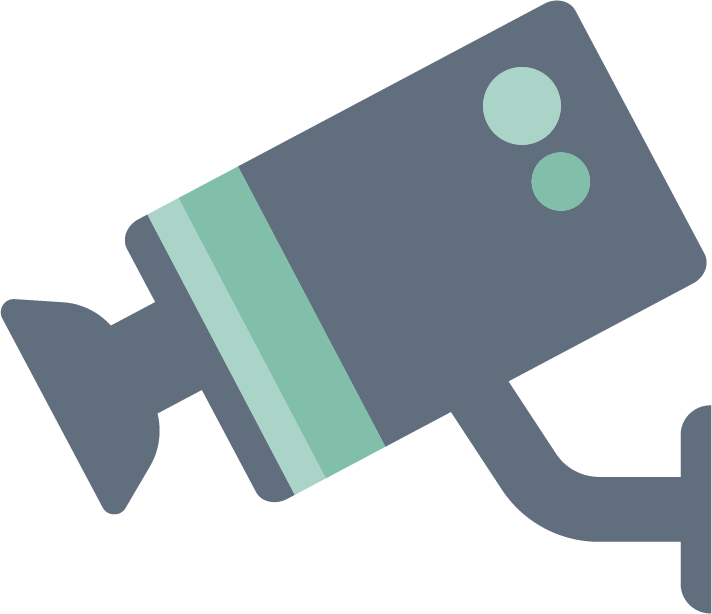 So, we’ve put together a guide to help you look at which outdoor security camera is best for you, your family and your home. Weatherproof means that your camera will be able to withstand exposure to weather without deterioration, so your camera could handle wind, rain and snow without being damaged. Whereas waterproof would mean that your camera isn’t going to break if submerged in water; no water will get in to the components to destroy them. A consideration will therefore need to be the weather conditions where you live when selecting the best security camera for you. If you live in Scotland for example, which gets a lot of snow; it would probably be worth getting a weatherproof camera. But if you live on the South Coast of England where snow is a remote possibility, you could probably manage with a waterproof camera. How much of your property do you need on camera? How clear do you want the picture to be? You need to think about what kind of video you want from your surveillance camera. The higher resolution the camera has, the better the picture quality will be. For a good quality image you need at least 1080p, or even higher if you want crystal clear images. It depends if you are going to be studying the footage every day, or only if there is an issue. Do you need Night Vision? The most likely answer to this question is…yes. What’s the point of having a security camera that can’t capture images at night? To get a high quality image you will need to buy a camera that has infrared technology. 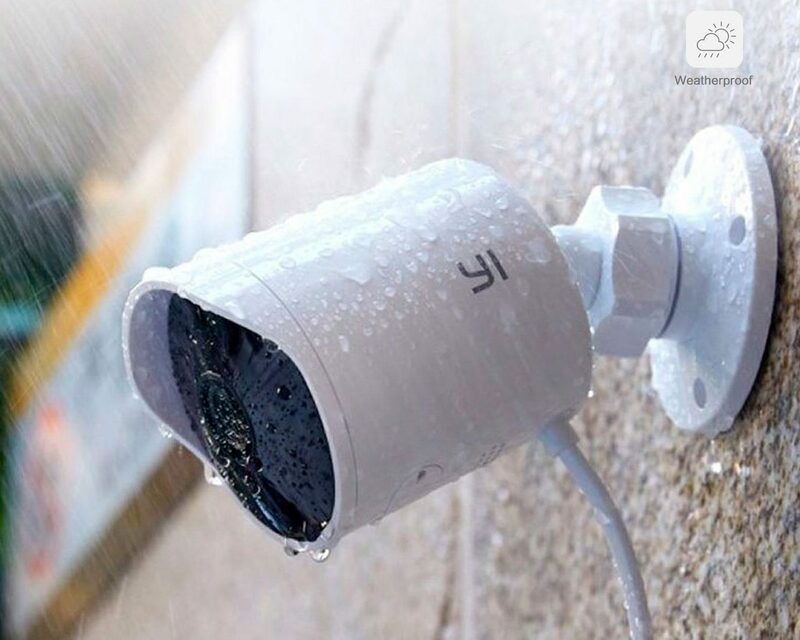 Most security cameras will have this, but if you want the highest possible quality image then you will need to buy one with a high number of infrared LEDs. The more infrared LEDs you have the more range you will have with the night vision. Do you want to be able to access your camera on your mobile? This is popular feature because it allows you to check in with your home wherever you are. You will need to make sure you choose a camera that is compatible with your phone and be prepared to pay a fee for your footage. Most cloud based features will require monthly or yearly fees payed to the company that makes the camera you choose. You can get pretty cheap basic security cameras, but it is a case of ‘you get what you pay for’, one or two basic cameras will be around £150-£250 but if you want multi-camera, indoor and outdoor top of the range camera with all the fancy extras, then you could be looking at thousands of pounds. 24/7 live video. 130° Wide-angle view lets you look after your home in 1080p HD, day and night. Receive a phone alert or email when nest cam detects activity. Weatherproof, cable and adaptor, so you can leave it out in the rain. Talk & listen feature. Meaning you can speak to get someone’s attention or tell the postman to leave the parcel by the door. Night vision. With 8 infrared LED, night vision evenly illuminates the scene. This nifty little camera alerts you via your mobile phone if something is happening around your house by detecting motions and sounds. It can even alert you with a photo from the ‘event’ whether that is the cat knocking a plant pot over or someone breaking a window. It’s also extremely clever, it knows when it’s recording a person, so it can alert you specifically when someone is walking up to your door. You can also ‘talk and listen’ with the Nests inbuilt speaker and microphone. 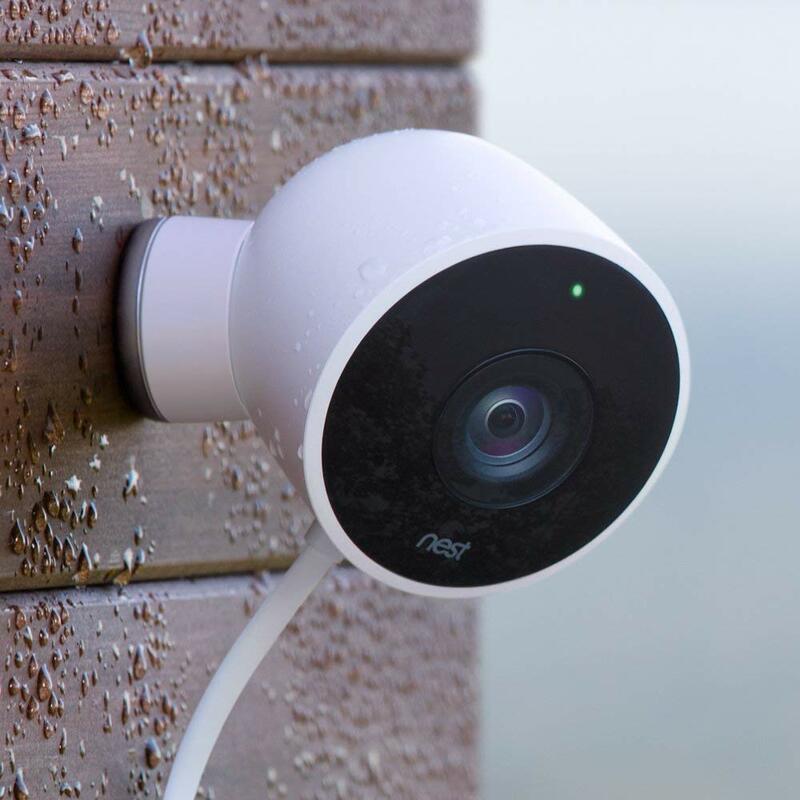 The Nest Cam Outdoor is weatherproof and extremely easy to install; you can either get a Nest Pro to install it for you, or you just plug in the cable and adaptor, mount the camera and you’re ready to go! Sound and advanced motion detection-get instant notifications sent to your smartphone or email. Weather resistant- IP65-certified to stand the rain, sun, heat or chill. Night Vision-turns on automatically in low light so you can see clearly, even in the dark. Activity zones- highlight areas in your camera’s view where you want to receive motion and sound alerts. The Netgear Arlo is one of the more expensive cameras out there, but it comes with a shed load of features. Its night vision automatically turns on in low light, so you don’t have to worry about missing anything in the evenings. Like the Nest, the Arlo also has a microphone and speaker, so if you see a delivery man, you can ask him to put your package round the back (and probably scare him!). It is fully weather resistant to stand rain, sun, high or low temperatures, so you don’t have to worry about it breaking. 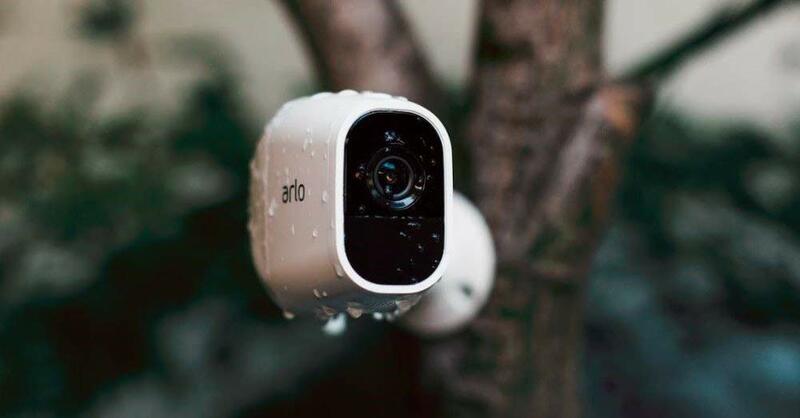 With the Arlo you have a Smart Security Siren, meaning you can set off a 100+ decibel alarm from your phone, if you see something suspicious whilst watching the footage away from home. The Arlo works with Amazon Alexa, Google Assistant, IFITT and Stringify. Arlo will store all footage from the past 7 days, but this does come with a cost and is currently only available in the US. The YI Outdoor camera comes with a reasonable price tag, and you still get some good quality features. It boasts a 110 degree wide angle lens with 3.9mm focal length, and along with flexible mounts which means you get a huge range of vision. It also has an inferred night time function and colour switch filter to give you the best quality images at night. It comes with its own app, this is great as you can live stream the footage anywhere; you can also share the footage with up to 5 different people. Meaning that if you are going on holiday you could ask friends and family to keep an eye on your house. The 3 meter cable is useful, as you won’t have to struggle to plug it in, or uses extension leads. For the price it’s a great little camera, and has the useful features that you find in the more expensive outdoor security cameras. 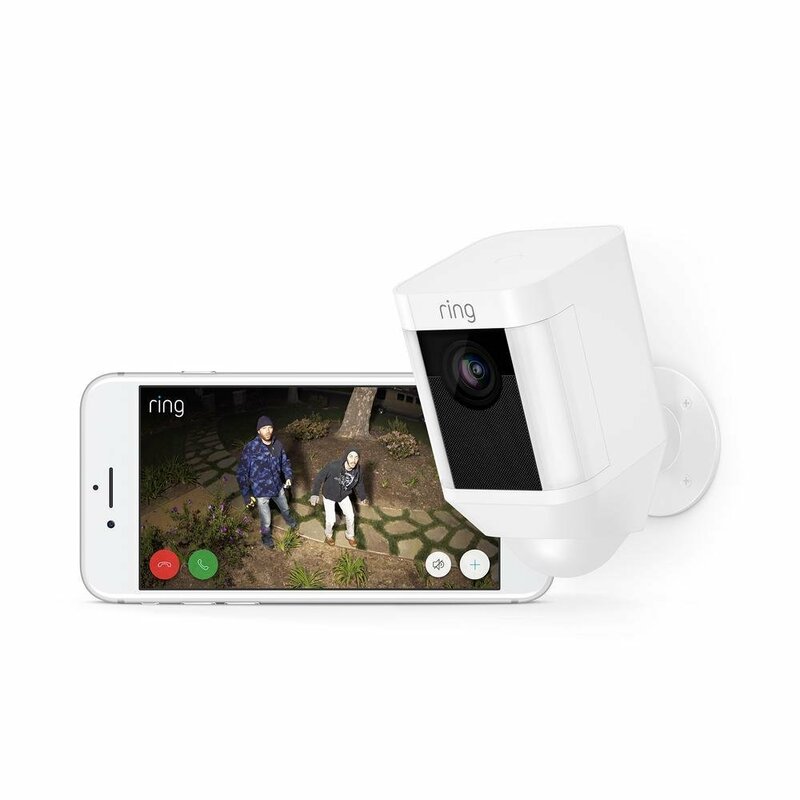 With the Ring Spotlight Cam, you can protect every corner of your home, its wire free and boasts a HD camera that lets you hear and speak to anyone on your property, from your phone or PC. You can set instant motion activated alerts, that send a notification to your phone when ring senses someone is on your property. The built in spotlight is what makes the Ring stand out from the crowd, the light means you get sharp image quality through the night. It does also have night vision, if you don’t want the light to come on at night. If you do spot an intruder then you can remotely set off a 110 decibel alarm, to help scare them away. It’s also weather resistant and can survive in temperatures as low as -28 degrees and as high as 50 degrees, so you wont have to worry about it. The device runs off a battery there are no wires, meaning you can pretty much install it anywhere. The battery is detachable so you don’t have to move the entire camera when it needs a charge. This might be a downside for anyone buying the Ring Spotlight Cam, the camera will be out of use when the battery is charging. Ring has just been brought by Amazon, so it’s a huge company. Meaning if you have any problems with your camera, you’re more than likely going to be able to get it sorted. 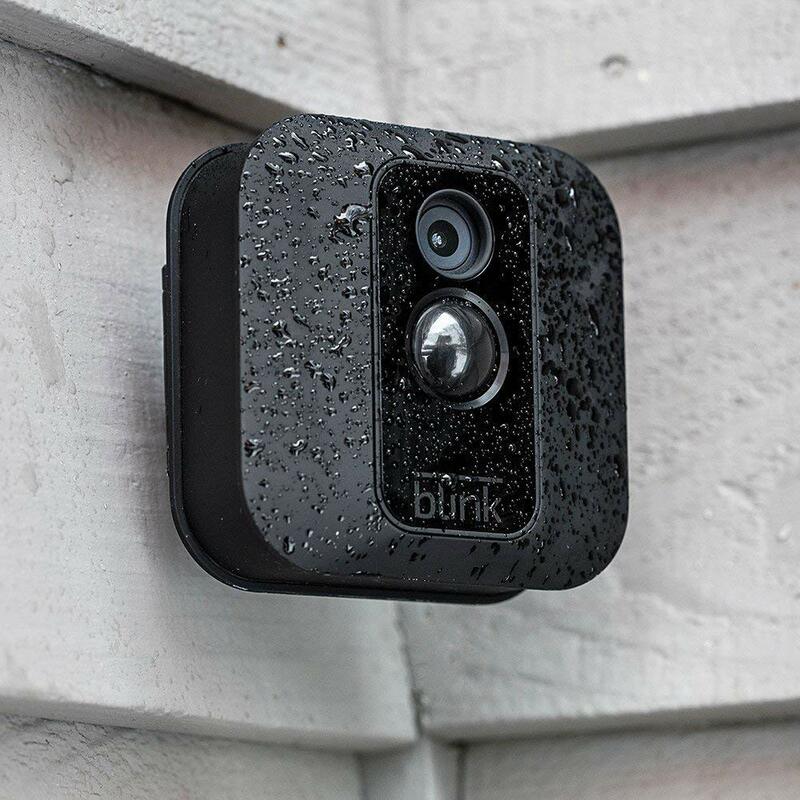 The blink camera claims to be the ‘most affordable, battery powered outdoor’ security cameras available. It does pack a lot of punch, with its infrared night vision and live HD video. The blink is weather proof and includes temperature sensors to make sure you are always getting the clearest image. Like the others on this list, it has a motion detector that will send video with audio to your smartphone, when it senses movement. The big selling point of the Blink is that you don’t have to pay a subscription to store your footage. You can also view live footage from anywhere on your smart device. The other selling point of the Blink is that the battery life is around 2 years, so you don’t have to worry about changing them regularly. 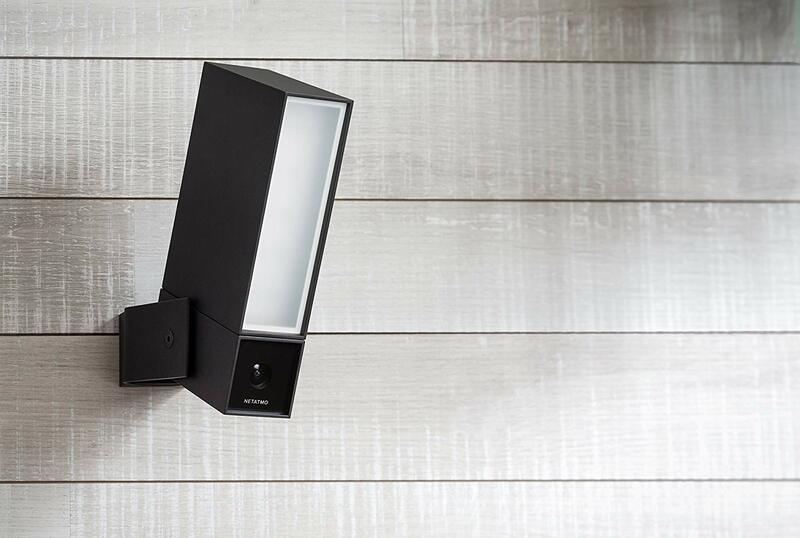 The Presence camera boasts some of the same features as the Blink, as it has no subscription fees for storing your video. That’s not the only good feature about the Presence; you can live stream and view your home in real time. At night you can watch discreetly with Presence’s infrared night vision, or you can turn on the cameras floodlight. This can be done via the app or you can choose for the floodlight to react to movement by setting the sensors. Presence is specifically designed for outdoor use so can withstand the elements; rain, snow, moisture as well as dust and dirt, by using a thin film coating solution (HZO technology). It’s also very simple to install and can just replace your existing security light. You can also be sure that no one else is looking at your video footage, as the Presence uses bank-level and end to end encryption to protect your privacy.